It was rather difficult putting together a list of the best jazz albums of 2010. Unlike our list of non-jazz albums, there didn’t seem to be a massive sense of agreement in all the different jazz writers. Sure, some albums matched up here and there, but by and large, 2010 didn’t have everyone walking lockstep behind a Vijay Iyer’s Historicity or Darcy James Argue’s Secret Society’s Infernal Machines like in 2009. While some may celebrate this as a breaking of the typical year-end journalist hive mind, it also highlights a multifacted year of music in which there really is something for everyone. As it relates to the best jazz music 2010 had to offer, here’s our take on things. 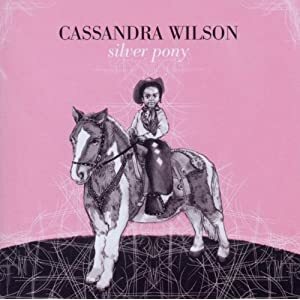 Cassandra Wilson has always had a smokey cool vibe to her. That’s just who she is. There was always a classic elegance to her. What Silver Pony manages to do is accentuate her sultry-voiced qualities in a live setting, as all good jazz does, along with the great skills of her backing band including Jonathan Batiste on piano, Marvin Sewell on electric guitar, Reginald Veal on electric bass, Herlin Riley playing drums, and Lekan Babalola covering percussion. Like any true jazz great album, everyone gets the chance to shine. Neither the rhythm section nor the vocalist outshine one another. That sort of perfect balance puts this album among the top of the year. There’s a beauty in seeing a group work together. It’s even more beautiful if they know how to work together. It’s this sentiment that flows all throughout Ten featuring the true team that is Jason Moran’s Bandwagon trio of Tarus Mateen on bass and Nasheet Waits on drums. As the title indicates, the album marks ten years of the trio playing together, learning one another’s idiosyncrasies and growing together as artists. 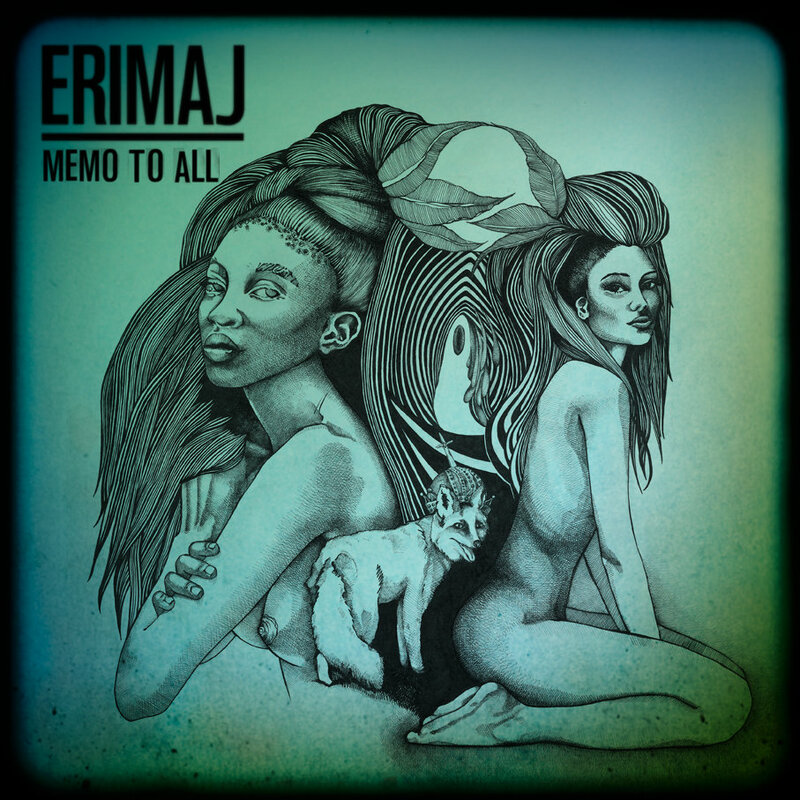 This all culminates into a classic trio album sure to please, filled to the brim with various influences from African beats to hip hop to gospel to somber balladry. As usual with a work from a master, MacArthur grant noted artisan like Moran, these various influences work together without seeming too much like a difficult hodgepodge. Of course, with a team effort like this, it’s understandable. They’ve had ten years to practice. This album was an outright surprise because of the added punch of one Becca Stevens. 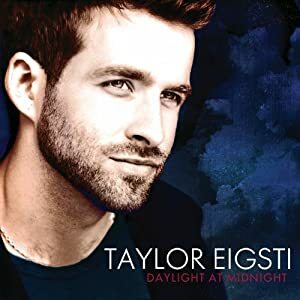 Eigsti’s lively collection of covers and original tunes (and a fairly evenly collection at that) are played with love, attention, and respect to the original songs while still adding his own flair, but Stevens’ vocals on certain selected tracks, especially the way she belts out everything she has on “Magnolia”, take this album into new heights, separating Daylight at Midnight from the rest of the fray. It’s an album that may excite folks whenever they think of both Eigsti and Stevens, much in the same way George Duke and Rachelle Ferrel or Joe Sample and Randy Crawford accent one another in assorted projects. This is a pairing to note for some time to come. It takes a certain amount of talent to be compelling all by oneself. 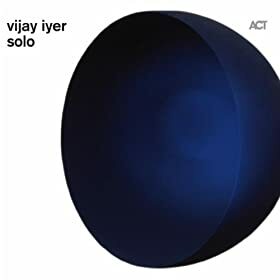 It also takes a certain amount of talent to turn jazz on its ear with such an impact two years in a row but Vijay Iyer has certainly done so in spades. Iyer manages to carry the listener through eleven tracks of covers and originals with his usual sense of of Dilla-esque off-timing while never straying too far with his ideas. Even in Iyer’s wandering off, he never sounds lost in his exploration of new sounds. The man truly can do anything. 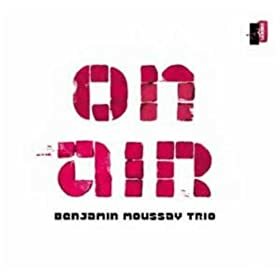 When listening to Benjamin Moussay’s On Air, one can’t help but feel a sense of urgency. It’s the same sort of urgency one used to hear from Esbjörn Svensson. It’s the same sort of urgency one hears from early work from The Bad Plus. Yes, you’ve heard dark, moody playing like this before, but that’s a good thing. With the loss of Svensson, the spot is open for someone to play in such an experimental way and see where else this direction can go. On Air is a prime example of such an exploration in that direction. Benjamin Moussay fits a very necessary slot in the jazz landscape, hopefully one that all invested in jazz shall see very soon. This is the album to notice. The rise of Jamire Williams has been a subtle story that’s just now starting to get some attention. Williams has backed a virtual jazz justice league all through this past year, from Christian Scott’s phenomenal to Jacky Terrason’s Push to Dr. Lonnie Smith’s Spiral. It would seem all these works have fueled Williams in his own endeavor, his group ERIMAJ notably featuring Matt Stevens (with whom he shares the bandstand in Christian Scott’s current quintet), MacArthur fellow Jason Moran, and non-whiny Bilal impressionist Christ Turner who really adds a certain kick to this short EP. The live recording is just a taste of the group’s upcoming album and its short four tracks leave us wanting more, and we’re certainly left wanting pretty badly. 2010 has had a lot of large concept albums. Whereas some of these large concept albums worked in the more pop arenas, they have been met with mixed feelings in jazz this past year. Brad Mehldau’s Highway Rider, while ambitious and an interesting listen, had plodding moments that hindered the overall album. All the while, Pat Metheny’s Orchestrion proved that Metheny can be the only human being in the room and still manage to make everything we recognize in a Pat Metheny album, for better and for worse. But the best large concept album of 2010 came from a rather unlikely source, a Frenchman with a career steadily on the rise. 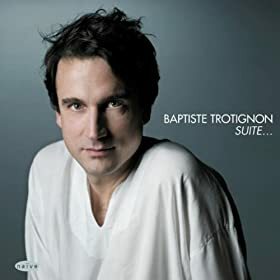 It’s coming time to stop sleeping on Baptiste Trotignon and Suite… is the album that should wake us all up to a bright new morning. Including an approximately 50 minute composition of various European, Brazilian, and traditional jazz styles masterfully interwoven including interludes and two other jazz standards, this is a robust album that shows the diversity of a great complete work, the vibrancy of a great jazz band including Jeremy Pelt, Mark Turner, Matt Penman, and Eric Harland, and the greatness that comes out of striving to do big things while never remembering one’s roots. The great challenge of jazz is accentuating where the genre is going while giving credence to the forms that came before. 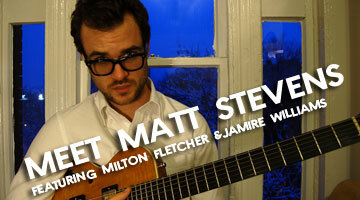 Matt Stevens’ debut EP manages to do both of these tasks simultaneously with great abundance through just four tracks. The trio of Stevens on guitar, Milton Fletcher III on organ (an instrument that doesn’t get its just due enough), and the powerhouse that is Jamire Williams on drums executes Stevens’ compositions with a whimsy of a group that knows itself well and just wants to play. These three have worked together in aforementioned Christian Scott quintet but it seems like these three have more room to run rampant in their modern jazz tunes and in songs that hearken back to a classic swinging era of jazz. While the four tracks of this EP may seem like a small sampling, the lengthy live recordings top out at just over 45 minutes, so this isn’t some small snapshot of a group in a one-off setting but more of an extremely satisfying workshop of friends who get together to make great music. 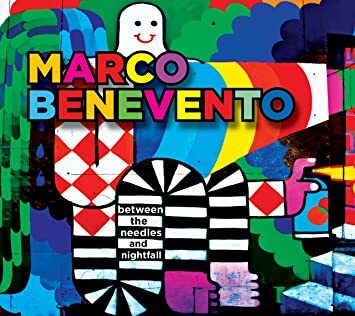 Maybe it’s the occasional honky-tonk sounds, but it’s hard to listen to Marco Benevento and not think about Jon Brion. Not many people on the scene have this much musical inventiveness. Not as many people can convey the kind of fun they have in their playing in quite the same way. Not that many people have the ear to make layers of sound with the room to breathe for improvisation or straight-ahead compositions and to jump back and forth through an album playing in such ways with such ease. From the virtual children’s show/mushroom trip-style of the album cover to track after track of music that sounds like Yosemite Sam decided to hold a rave, this is the most fun jazz album of the year in every way, shape, and sonic form. It’s a constant habit of critics to try to name our latest legends, not only to identify them, not only to honor them, but also to give a frame of reference. True, it may seem a little crass but sometimes it helps to look for another “Michael Jackson of our time.” Sometimes artists make their own art and try to run their own race, but in the realm of jazz, it’s these very actions that sometimes poise an artist for what I consider the “Miles spot.” Outside of a few well-timed boxing essays, it’s becoming steadily clear that Christian Scott is in the lead running for the Miles Davis of our time. Yesterday You Said Tomorrow is exhibit A of that fact. 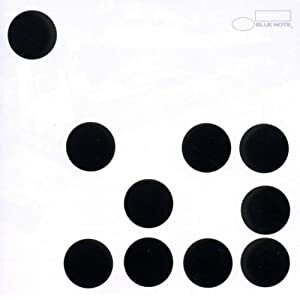 From its bombastic start with “K.K.P.D.” to its somber ending with “The Roe Effect (Refrain in F# Minor)”, the album just shouts out for its relevance and earns all that it gets. Even its one cover can’t get any more political and idealistic than from the likes of Thom Yorke (who had Scott play with him and the rest of his side group, Atoms for Peace, during Yorke’s New York tour dates this past year). The feel of the album hearkens back to a classic sound of the 1960s, not only from the intended tone evoked from song titles like “Jenacide (The Inevitable Rise and Fall of the Bloodless Revolution)” and “Angola, LA, and the 13th Amendment” but also from the quality of the Rudy Van Gelder-engineered sound. Typically it sounds like pandering to be so overt with one’s intentions to make a classic album, but like so many other large concepts this year, Scott, drummer Jamire Williams, guitarist Matt Stevens, pianist Milton Fletcher, Jr., and bassist Kristopher Funn answered the call to go big or go home. They got big.